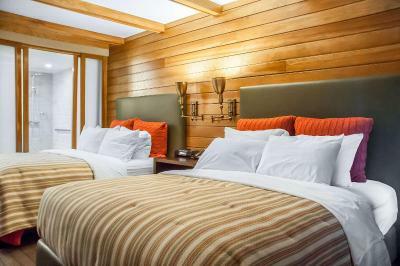 Lock in a great price for Comfort Inn The Pointe Niagara Falls – rated 9 by recent guests! The front desk staff were very friendly and helpful. The breakfast buffet was kept well stocked. The rooms were clean and comfortable. Fantastic location! Great location for both the falls and the convention center. I never give highest marks when rating anything; however, this hotel, staff & location deserves the highest rate possible! The staff was amazing, very helpful and we could not ask for a better location. We stayed there on our first night and we made sure we stayed there on our last night of our trip. Fantastic location and good breakfast selections. Staff very helpful and very nice. I loved the staff. Every time I asked them something they helped me out in any way they could. The beds were very comfortable. The room was very clean. It was in a good location to see the Falls. The location on this hotel is perfect 5 min walking to the falls , restaurant near by & also the casino is 10 min walking (the casino had a strong smell of cigarettes even on the non smoking side) . This hotel also offers free parking & free breakfast . The bed were comfortable & our room was very clean. The staff are very friendly & helpful. Overall I would stay here again with no problem. 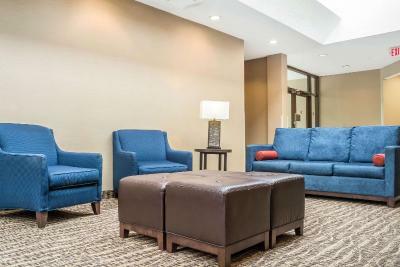 Comfort Inn The Pointe Niagara Falls This rating is a reflection of how the property compares to the industry standard when it comes to price, facilities and services available. It's based on a self-evaluation by the property. Use this rating to help choose your stay! The Comfort Inn The Pointe is located at the entrance of Niagara Falls State Park and so close to Niagara Falls you can feel the mist. 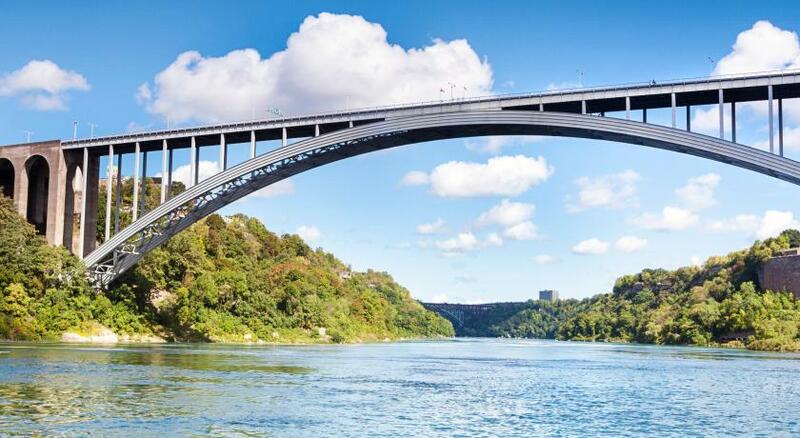 Major attractions within walking distance include the Aquarium of Niagara, Hard Rock Cafe Niagara Falls USA, Cave of the Winds tours, the Rainbow Bridge, the gateway between the cities of Niagara Falls, and Maid of the Mist, one of America's oldest tourist attractions. The Conference Center Niagara Falls is only two blocks away. Fashion Outlets of Niagara Falls USA is just minutes from the hotel. Nearby casinos include the Seneca Niagara Casino, Niagara Fallsview Casino and the Casino Niagara. 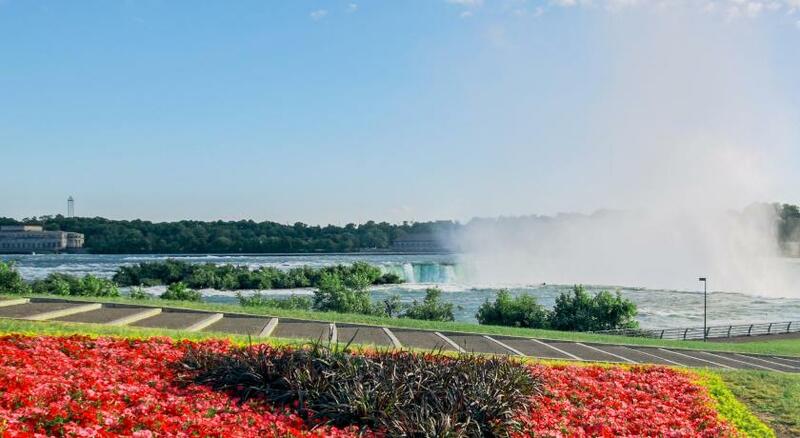 This Niagara Falls, NY hotel is a short drive from Niagara University, the New York Power Authority's Power Vista, Artpark, a performing and visual arts entertainment facility, historic Lewiston and Old Fort Niagara. Enjoy our free hot breakfast featuring eggs, meat, yogurt, fresh fruit, cereal and more, including your choice of hot waffle flavors! The hotel provides guests with a variety of fine amenities and features, such as free well-lit parking and an exercise room. 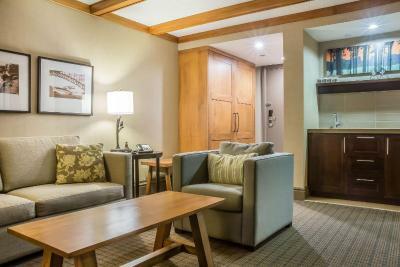 Business travelers can appreciate conveniences like free wireless high-speed Internet access in every room. 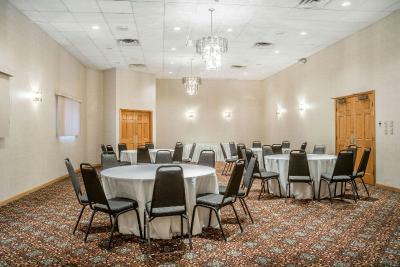 Whether planning for a large reception or intimate gathering, this Niagara Falls, NY hotel provides a banquet room. All beautifully appointed rooms include hair dryers, coffee makers, irons, ironing boards and 37" high-definition televisions with over 35 channels and Showtime. 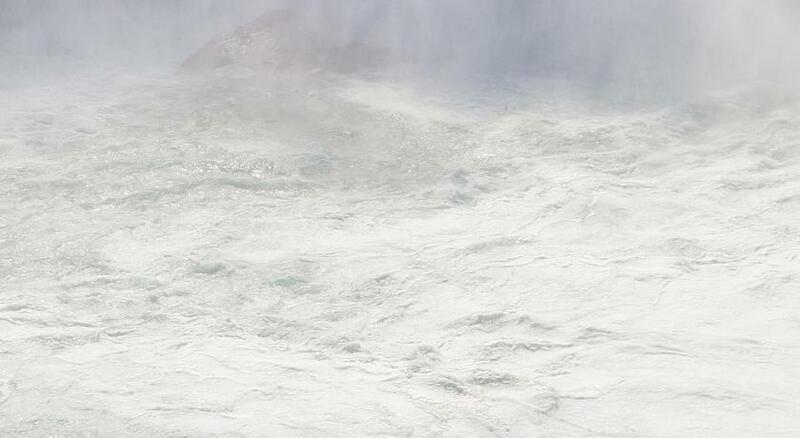 Some rooms at this New York hotel also offer views of the thundering rapids that lead to the brink of the "Falls." Special rates for AAA and AARP members are offered. 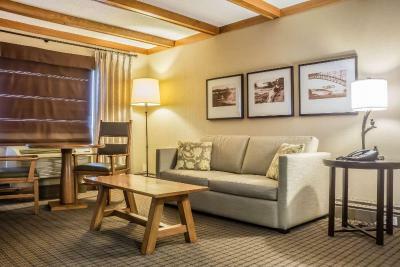 When would you like to stay at Comfort Inn The Pointe Niagara Falls? Located on the first or second floor, this room features a satellite TV. Located on a higher floor, this double room features a satellite TV and a work desk. Please note, this room cannot accommodate extra beds. Located on a lower floor, this room features a satellite TV and a work desk. This room features a satellite TV and a work desk, chair and ottoman and mini fridge. House Rules Comfort Inn The Pointe Niagara Falls takes special requests – add in the next step! Comfort Inn The Pointe Niagara Falls accepts these cards and reserves the right to temporarily hold an amount prior to arrival. Wish there was cut up fruit on the breakfast buffet. Too noisy & couldn’t shut big curtains. It was right next to the Falls. Location is great. Most attractions is just walking distance from the hotel. The falls is just one minute walking . The hotel has it is own parking. Breakfast needs to be improved - suggest to include egg omelet, cheese etc. The location was so close to Niagara Falls; The reception was very helpful; clean rooms .. The location is perfect and in short distance to the Niagara Falls.